Grumpy stove is the dark side of Savotta hobo stoves. If Happy Stove does not meet your requirements for Finnish melancholia, Grumpy Stove probably does. 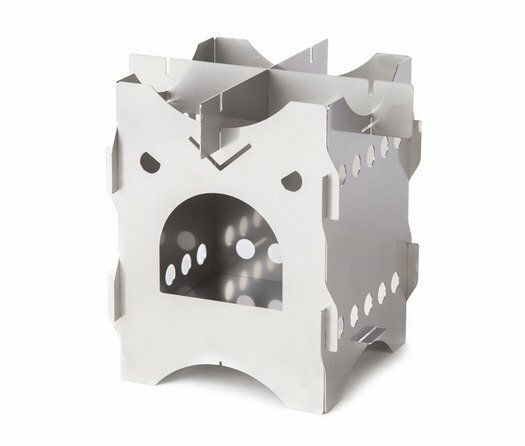 Like the Happy Stove, Grumpy Stove consists of comprise 7 laser-cut stainless steel components: three side walls, a bottom, a “grumpy face” and cooking support in two sections. Once clicked into place, the stove is ready for use. The design of the stove is aimed at a good weight/durability balance. 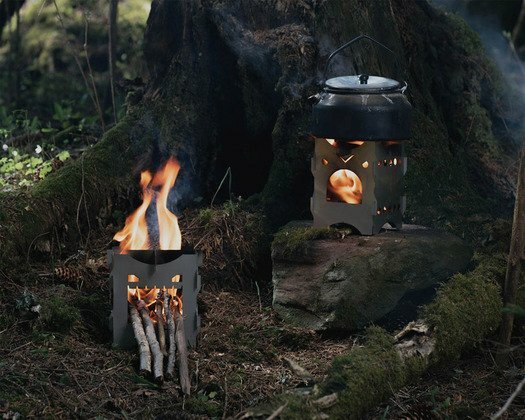 Despite its lightness, the stove can support the weight of a normal coffee pot or a mess kit. The twig stove is supplied with a protective black bag made of 1000D Codura. Once packed in the bag, the twig stove fits into a really small space. Material: 0,5mm Laser-cut stainless steel. Overall Dimensions: Height 14 cm, width 14 cm, depth 14 cm. Firebox Dimensions: Height 9,5cm(12cm without grate), width 10cm, depth 10cm. Protective bag material: 1000D Codura, PUR coated. Dimensions of the protective bag and packed stove: Height 15.5 cm, width 14 cm, depth 1 cm. Protective bag weight: 30 g.
Остават 182.00 лв. до безплатна доставка!